Research In Motion is considering selling its hardware production arm after the launch of BlackBerry 10, as one of a number of potential actions. 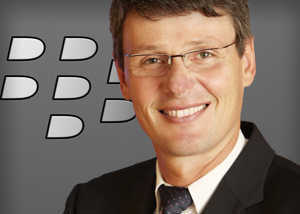 RIM CEO Thorsten Heins said that a strategic review could lead towards the sale, or potentially offering licenses for its software to other manufacturers, opening the door to non-RIM BlackBerry devices in the future. In an interview with Die Welt, Heins confirmed the company was mulling over various courses of action it could take. When asked about licensing its software in a similar manner to how Microsoft licenses out its Windows Phone OS, Heins said that such a thing could only take place after their own products are released. “Before you license the software, you must show that the platform has a large potential,” said Heins, who also claimed the delay for BlackBerry 10 was due to the company building a platform “that is future-proof for the next ten years.” He also suggested that BlackBerry 10 could be used in devices other than smartphones, such as in cars and other vehicular systems. The perception that BlackBerry was a tool for business was also attacked by Heins, referring to large consumer markets in Indonesia, South Africa, and the UK. While BlackBerry 10 will be launching globally, Heins will be looking at the less developed mobile markets for growth, as opposed to the US and Europe, which the company hopes will more than recoup the 1 million users that left the BlackBerry platform between the second and third quarters, leaving it currently at 79 million. RIM’s most recent financial results saw revenues fall 5 percent to $2.7 billion, and an adjusted net loss of $114 million. The launch of BlackBerry 10 will see the company increase its marketing spending, and expects to still have an operating loss by the time the fourth quarter results are released.